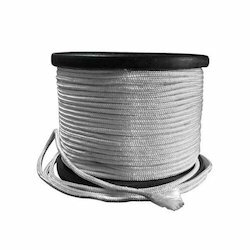 Our range of products include fibreglass braided rope, fiberglass fabric, fiberglass rope and graphited ceramic gland rope. 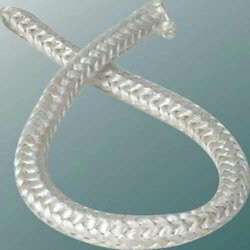 Our organization is among the recognized names in the industry for supplying and trading Fibreglass Braided Rope. The offered rope is made from high-grade materials for meeting the variegated demands of customers. It is durable, resistant to wear & tear, non-reactive to chemicals and dimensionally precise as well. 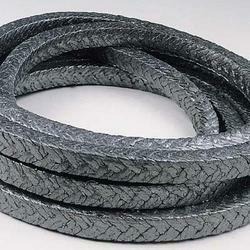 This rope is used for sealing furnaces and doors of chimneys. 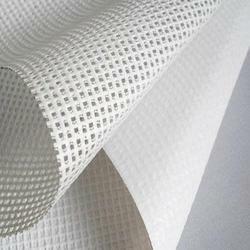 We are offering Fiberglass Fabric to our client. Our organization is among the leading names in the industry for supplying and trading Textured Fiberglass Rope. The offered rope is used for providing insulation and is known for its dimensional accuracy. It has high tensile strength, resistance to wear & tear, resistant to chemicals and thermally stable. It is procured from a reliable vendor base for ensuring quality. We are among the reputed names in the industry for supplying and trading Graphited Ceramic Gland Rope to our valued customers. The offered products are made in tune with the industry standards and are extensively demanded their high tensile strength and resistivity towards chemicals. These products are precise in size, durable and used in pharmaceutical and petrochemical industries. Looking for Fibreglass Rope ?